Webmaster Central is pleased to announce that starting on September 1st, the company’s cutting edge adult content leasing platform will be compatible with Google’s popular Chromecast service. The integration with Chromecast means Webmaster Central’s clients will now have another powerful tool for attracting and retaining customers. 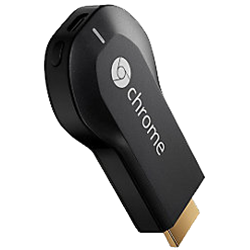 Google Chromecast provides technology that lets consumers stream media from their various devices straight to their TV screens. Mainstream content platforms like Netflix, HBO GO and Watch ESPN are already integrated with the service, but Webmaster Central is looking to become the first leased content platform for adult companies that offers compatibility with Chromecast. Webmaster Central, winner of the ‘Best Content Provider’ at the YNOT Awards in 2013, has been nominated for two YNOT Awards in 2014, including ‘Best Content Provider’ and ‘Best Adult Business Services.’ Its popular content delivery platform combines quality HD video content from every major adult niche, and optimized for every major viewing device, with cutting edge technologies that make running an adult online business simple and painless. Webmaster Central’s content libraries are updated every day so clients can focus on driving traffic and making money, not on adding new content and learning to integrate new technologies.